So why exactly did Pamela and PETA decide to showcase “Sheriff Joe?” Because he serves vegetarian food to the inmates at Maricopa County Jail. PETA is trying to spin it as a way to protect animals and promote health, but it’s clear Arpaio’s decision to serve vegetarian food is because it’s cheaper. In attempt to save money, “Sheriff Joe” has moved toward only serving two meals a day,charging inmates for their own meals, serving green bologna and has cut out salt, sugar and condiments from meals. Examples of Arpaio’s abusive treatment of inmates are too extensive to list here (including “Tent City” in 135 degree heat, use of chain-gangs, and many others). While Arpaio’s specific form of racist abuse makes PETA and Anderson’s gesture of support particularly egregious, support for any jail or prison is problematic for an organization promoting veganism from an animal rights perspective. Veganism rooted in a desire to liberate all animals from captivity and exploitation is inconsistent with supporting prisons. Prisons encage and exploit human animals. This is particularly true in the context of the prison-industrial complex. Inmates (human animals) are held in captivity and forced to work against their will, while others profit from this captivity and forced labor. Arpaio’s use of chain-gangs is an excellent example of this. Inmates are forced to work in order to get out of lockdown. They do not get paid, providing free labor to the County. If another species were exploited for the financial benefit of humans, animal rights organizations would actively oppose it (as they should). It would be easy to imagine PETA criticizing animal “chain-gangs” given their opposition to animal-based industries and their position on chaining dogs. First, PETA and Pamela went to a jail, not a prison. There’s a difference. The majority of people in jail are pre-trial, meaning they have not been convicted and are presumed innocent in our society. Those in jail are people awaiting trial who could not afford to post bail. So overwhelmingly, the people in Maricopa Jail and county jails like it are poor and working-class people who have not been convicted of any crime. The small percentage who are in jail after a conviction have been convicted of misdemeanors – lesser crimes including traffic violations, vandalism, minor drug possession, etc. Second, incarceration doesn’t rehabilitate. The disconnect in the analysis of some animal rights activists is striking when comparing anti-social behavior among humans and non-human animals. 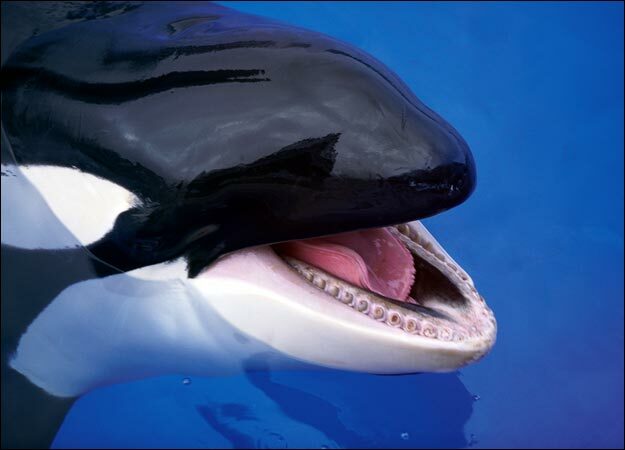 One example is Tilikum, the Orca held at SeaWorld who has killed three different trainers. The animal rights perspective has been to look at the trauma Tilikum suffered by being captured and held in captivity. No animal rights organization or activist would claim that the appropriate response is to continue to hold him in captivity in order to “rehabilitate” him. Embracing a radical social analysis means challenging and critiquing all societal assumption. And supporting liberation of all living things means freeing all humans from the cages of prisons. This essay was originally published by NoCages.org on April 14, 2015. Sarah K. Woodcock of The Abolitionist Vegan Society argues that veganism is a practice that refers specifically to Nonhuman Animals. While supporting racial profiling and the imprisonment of humans is certainly inconsistent with the social justice ethic that undergirds veganism, veganism is an ethical position that directly and exclusively represents nonhuman animals. This entry was posted in Nonhuman Animal Rights & Speciesism, Whiteness & Critical Race and tagged PETA, Prison Industrial Complex, Vegetarianism by Vegan Feminist Network. Bookmark the permalink.